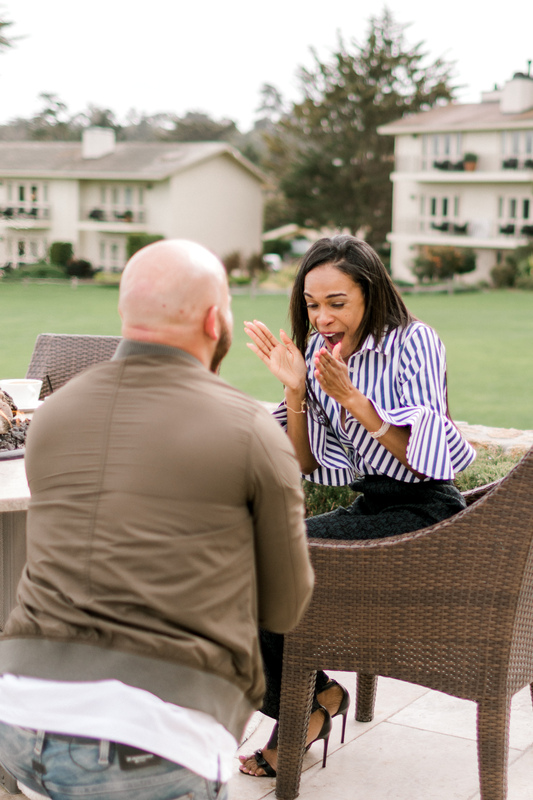 This proposal was by far the most memorable for us, to date. 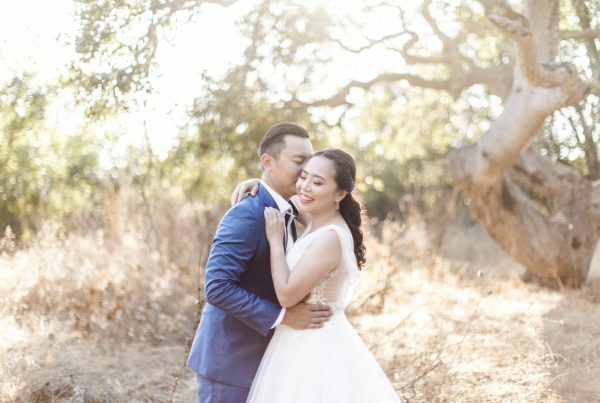 We were contacted by a mutual friend of the couple’s who also happens to be an NFL player, so we were immediately excited for this assignment. 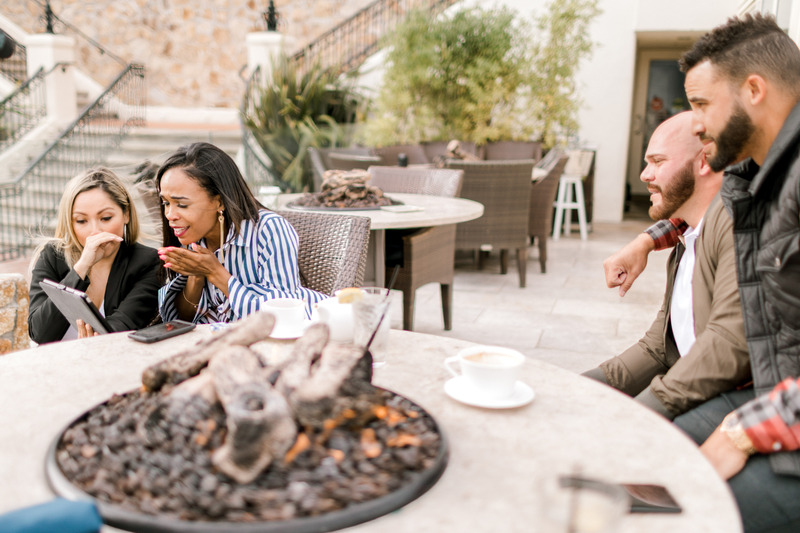 We secretly arrived at The Bench in Pebble Beach, and rendezvous’d with the crew from E! that was filming. It felt like we were back in Los Angeles on the set of a RED production – it was amazing to revisit those feelings from 2013 — back to our start in California. We were lucky to easily blend in as part of the film crew, and Michelle thought nothing of our attendance. Of course, we were only there for the proposal. Everyone was so kind and bubbly, you could just tell their group of family/friends is one that loves each other so incredibly much. A few minutes into lunch (filming the pilot) you could feel the energy shift. 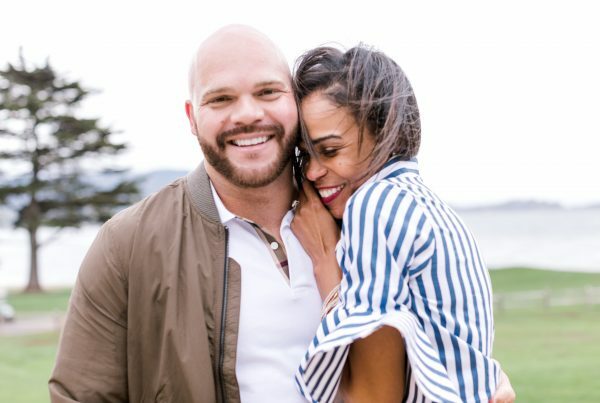 The conversation steered toward how Chad and Michelle were there just a year prior and having their first date, how she was playing a little hard to get– it was all so cute. 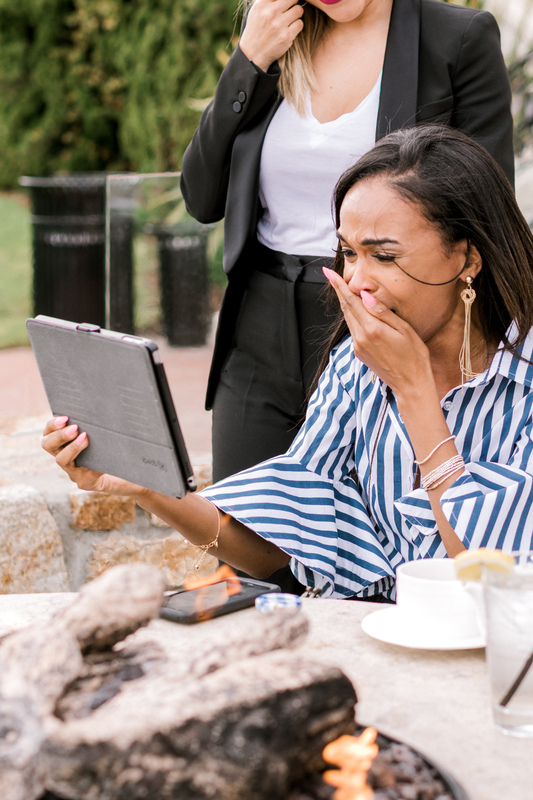 A waitress came from behind Michelle, and handed her an iPad, which threw Michelle quite a curve-ball once the video of Chad visiting her entire family across the nation to get their blessing for their marriage. She was instantly in tears, I think everyone was, in fact. The most heartfelt lead-up to a proposal I’ve ever seen! 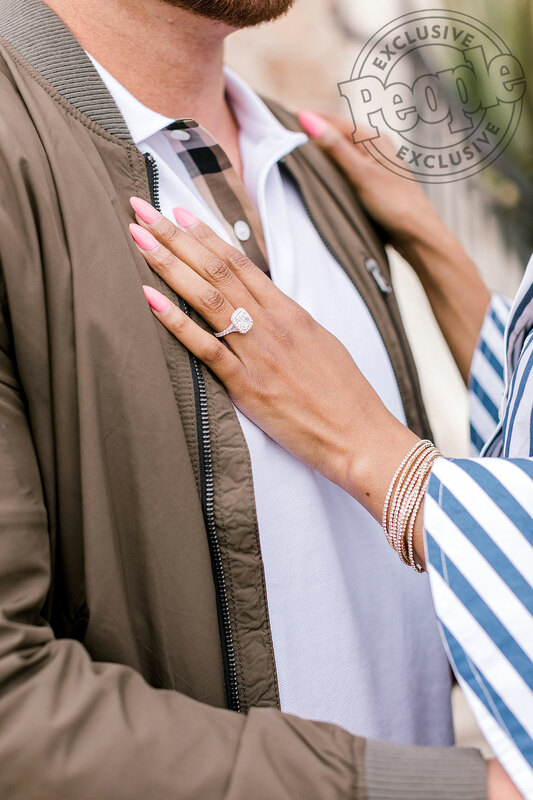 After the video began to wind down, Chad got down on one knee with the most stunning ring that he spent a decade saving for his future wife. 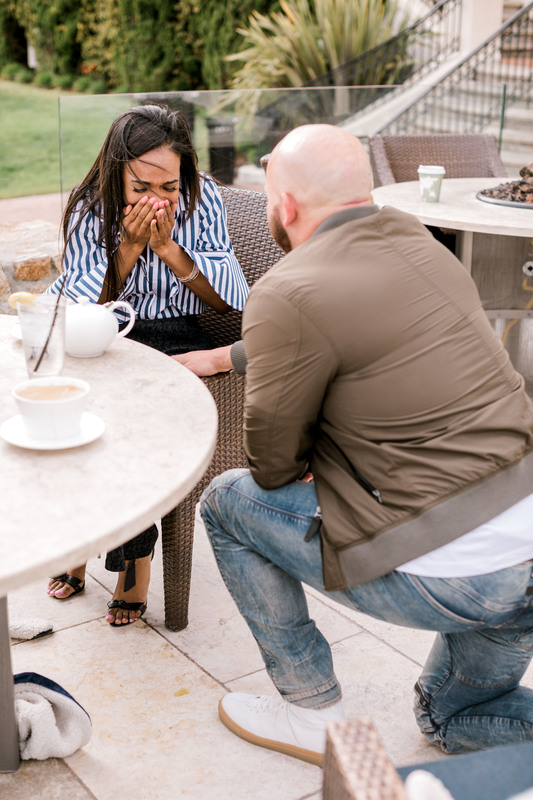 Through the tears and shock, she immediately said yes! She was so happy and surprised, she couldn’t believe everyone was in on it and that she had no clue. 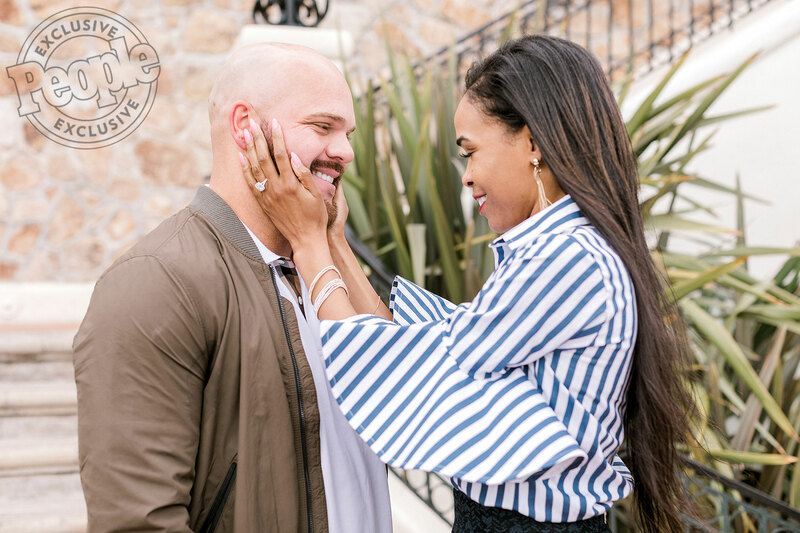 We weren’t able to talk about or share any aspect of this until the pilot for their new TV show, Chad Loves Michelle, aired months later. 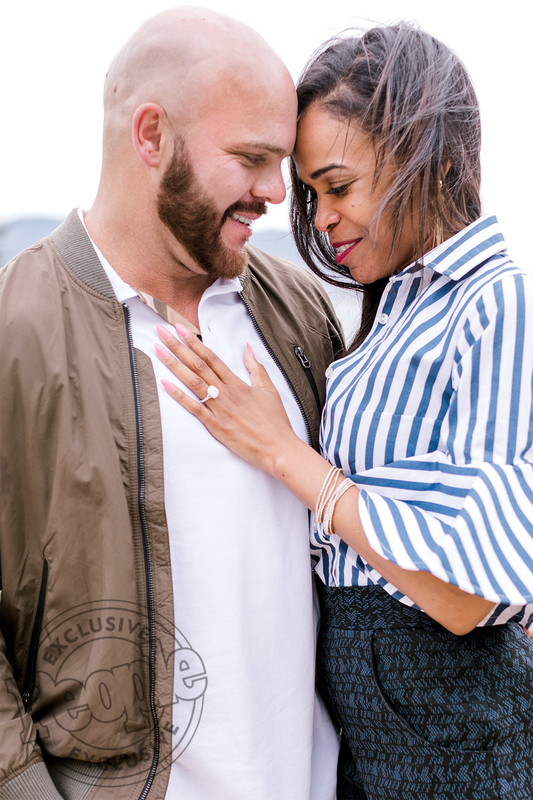 Luckily, between the two Coachella reunion performances of Destiny’s Child, Michelle gave the green light and shared their engagement, along with multiple features in People Magazine. Read more about our features in People Magazine, The Dr. Oz show, Wendy Williams, and the insane publicity that immediately followed their announcement, in our journal entry here. *UPDATE: Chad and Michelle have since decided to call off their engagement for the time being but remain close as friends.